After splitting a 4-game set with the Atlanta Braves, the Nationals now head north to Pittsburgh to face the Pirates. 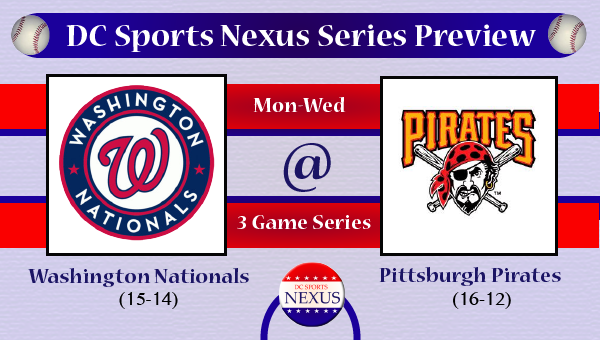 The Nationals are currently 2.5 games out of first place and will hope to take this series from the upstart Pirates. The Nationals seem to have found their rhythm in Atlanta and there are many interesting aspects coming into this series, and we are here to preview all of them. This is the first matchup of the season between these two squads, being pitted against each other as they are both playing good baseball as each team is currently in second place in their respective divisions. The Nationals pitching staff got it going in the Braves series, only allowing 1 run in the last 18 innings. Of course Dan Haren and Jordan Zimmermann are responsible for this, however good results can be contagious. Last year, each starter talked about how they were motivated by the others to do better every time they stepped onto the mound, maybe the Nationals have gotten away from that this year, and a string of a few good starts is what they need in order to get on track. The Pirates have been struggling at the plate, as they have the 6th-worst average and the 3rd-most amount of strikeouts in the league. These areas of their offense will be taken advantage of by the power arms in the Nationals' staff. Ryan Zimmerman is expected to return from the DL, as Anthony Rendon will be sent down. Rendon should be proud of his results, and this experience should help him throughout the rest of his learning process. Bryce Harper, Jayson Werth, and Stephen Strasburg all bring injury concerns into this series. Three of the most important names on this roster must continue to be healthy in order to give their team the best chance at success. The Nationals are getting better, slowly but surely. They aren't making the errors they were early in the season, physical or mental. Certain players have greatly improved, as well. Dan Haren has been getting better with each start, Jordan Zimmermann has emerged as the team's ace, and Ian Desmond is beginning to come around with all aspects of his game. Hopefully this will be applicable over the course of the next few weeks, as a few of the Nationals' key players are fighting injuries. As stated in the Notes, the Nats have a few important question marks on their roster. Harper, Werth, and Strasburg all appeared to have injuries over the course of the Braves series, however Strasburg has thrown a bullpen and he has been cleared to start on Saturday. Harper and Werth both started last night, which is a good sign, except for the fact that Werth had to come out of the game in the 5th inning. Ryan Zimmerman is coming off the DL and it will be interesting to see how he is able to return to every day action. And one must wonder if the torn rotator cuff in Danny Espinosa's left shoulder is what has been causing his struggles. 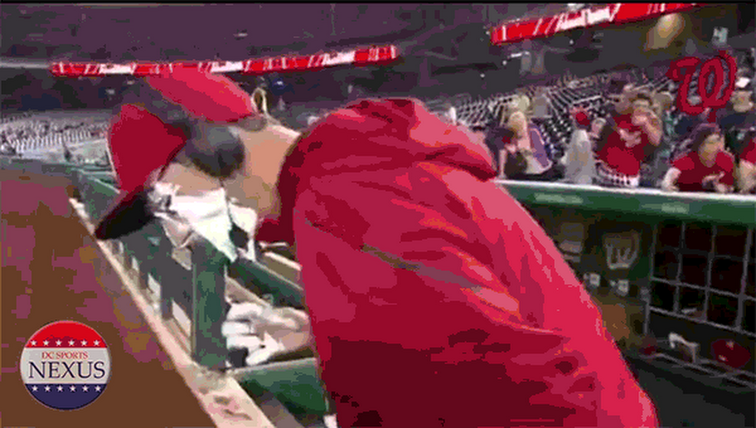 The Nationals are known for protecting their players, so it will be interesting to see how Davey and Co. handle these situations.